One question I had after reading the chapter was: Why was it necessary for John the Baptist to “prepare the way” for Jesus? Jesus, being the Son of God has all power, so he could have just called people to himself in many ways. 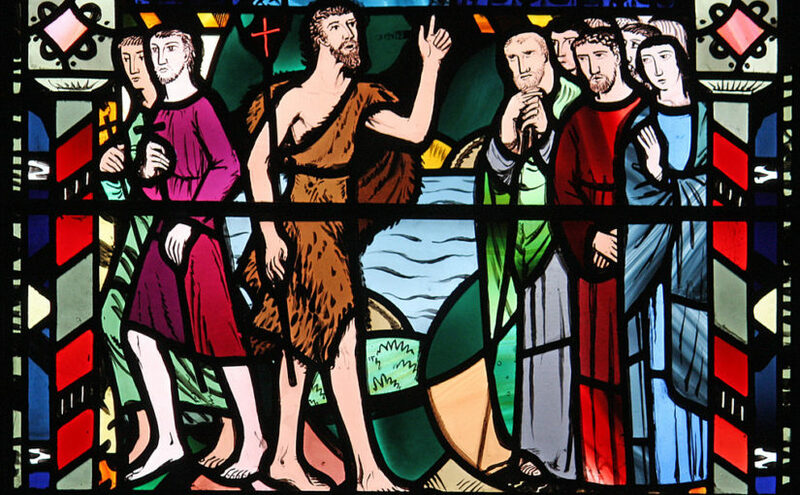 What was different about John the Baptist from other prophets? God had been using prophets for hundreds of years to send his messages of repentance, faith, and direction. They also told of a coming messiah. John’s special mission was to say he’s HERE. What an honor. Translating this to my life I think about how we prepare for earthly events. If we know someone is coming to visit us from out of town, we typically clean our homes and put on a welcoming attitude. Sometimes we prepare for days; we prepare food, beverages, bedding, and plan events. We build our anticipation for what is to come and envision some of the conversation that we’ll have with our guests. We tell our neighbors and friends that this special someone is coming. I believe this same preparation, as well as how John worked to prepare the people is how we should be preparing and anticipating the coming of our Lord Jesus Christ. We need to be preparing ourselves in our relationship with Him today so that when we do meet face to face, it will be with joy and not with fear. We need to be sharing his love and salvation story with neighbors, friends, and family so that they too may celebrate his glorious return. The prophets from old said he’s coming, John the Baptist said he’s here, and we say he’s coming again – and he is. Prepare the way. Father God, thank you for your loving, perfect truth that we can find in the scriptures. Please show us how we should be preparing the way for your son Jesus. Show us how we we should prepare ourselves; give us courage and wisdom to spread your message of love, forgiveness, and salvation to others. Amen.